Marianne is in a slump: barely able to support herself by teaching, not making progress on her poetry, about to lose her Brooklyn apartment. When her novelist ex-fiancé, Eric, and his venture capitalist brother, Mark, offer her a job directing a low-residency school for Christian writers at a motel they’ve inherited on Florida’s Gulf Coast, she can’t come up with a reason to say no. The Genesis Inspirational Writing Ranch is born, and liberal, atheist Marianne is soon knee-deep in applications from writers whose political and religious beliefs she has always opposed but whose money she’s glad to take. Janine is a schoolteacher whose heartfelt poems explore the final days of Terri Schiavo’s life. Davonte is a former R&B superstar who hopes to reboot his career with a bestselling tale of excess and redemption. Lorraine and Tom, eccentric writers in need of paying jobs, join the Ranch as instructors. Mark finds an investor in God’s Word God’s World, a business that develops for-profit schools for the Christian market, but the conditions that come along with their support become increasingly problematic, especially as Marianne grows closer to the students. As unsavory allegations mount, a hurricane bears down on the Ranch, and Marianne is faced with the consequences of her decisions. 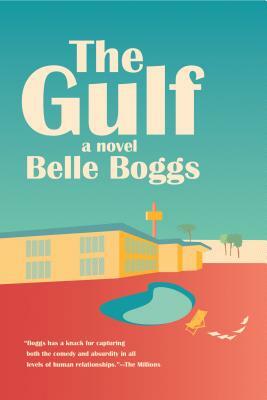 With sharp humor and deep empathy, The Gulf is a memorable debut novel in which Belle Boggs plumbs the troubled waters dividing America.